O.B. 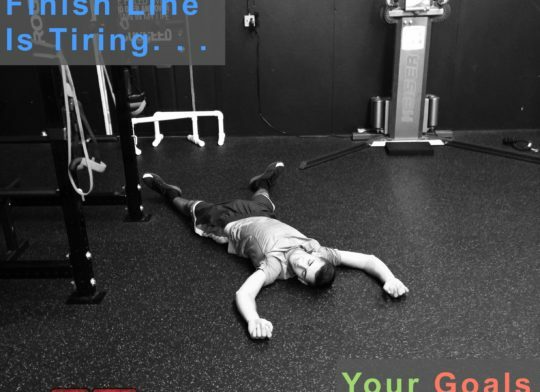 Training » Do Your ACTIONS Align With Your RESULTS???? If someone were to follow you around for 24 hours and only having your actions, not your words, to consider, would they be able to guess what your goals are? Varsity wrestlers train almost year round. Shortly after posing that question to other wrestlers and coaches at Ohio State, Kyle, as a 20-year-old junior in college went on to become the youngest American wrestler to win an Olympic Gold Medal. For Kyle the answer to his question was simple. People could clearly tell what his goals were by his actions day in and day out. For the majority of us, the answer may not be so definite. Anyone with even a hint of ambition has goals. Being able to tell someone what it is that you want for yourself is a huge part of the battle of improvement. However valiant it is to be able to vocalize these big plans, they will amount to absolutely nothing without ACTION. These people that Les Brown talks about simply did not take action. They may have had the best idea in the world, one that would’ve made them millions of dollars or saved countless lives, but they did not act. What I’m getting at here is that everyone has at some point had a great idea, but the ones that are the most successful in this world are the ones who act. The ones who would rather ask for forgiveness than permission. I’ll attribute the following quote to Coach Ryan but I’m sure he got it from someone else. Those who act will ultimately come out on top. Of course just random actions are not what we’re talking about here though. Linking your actions to your goals and your words are the key. Aligning what you do with what you say is an achievement that we assign to the most respected people. Talking the talk, walking the walk. Someone who can talk the talk and walk the walk at the same time is someone who is sure to be well on their way to achieving goals they have and future goals they have not even set yet. To put things more simply, place your actions into one of the following two categories. With health and fitness the decision is easy. That doughnut is not contributing to me being beach ready come summer time. Going to bed on time and hydrating properly are helping me become more healthy and happy. Every single action helps you or hurts you. 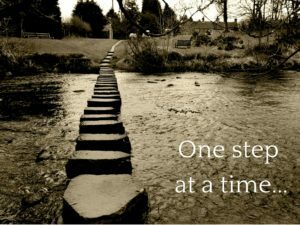 So take that first step. Get an extra workout in. Go to work early and impress your boss. Productive actions create productive habits. Create a little momentum and big things will happen. If you can answer with a definitive yes, go ahead. If not, maybe redefine what your goals are. Maybe my words do not line up with my actions. If that’s the case, it’s ok, just stop telling people otherwise. To make an impact on as many peoples lives through health and fitness as possible. To help athletes learn the fundamentals of training, as well as the fundamentals of life. To continue to learn as much as I can to further my other goals. I know for me that there will be slip ups, but I guarantee if you followed me around for a full day and observed my actions that you could recognize the above three things as my goals. Put this somewhere you’ll see it multiple times a day so when you question whether or not to do something, this list will be right in your face. Will this help me or hurt me? Not Sure How To Create A Strategy To Reach Your Goals??? Set Up A Free Strategy Session With A Coach Today. What do you see when you look in the mirror? Are you picking out every spot that you don't like Read more! Not excited to go to the gym? Are you dreading your next workout? Read more! Hockey is different. If you are a player or a parent then you know, hockey is VERY Read more!